Published by Joshua Clare-Flagg on 16 Jan, 2018. 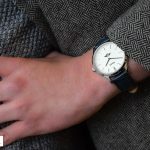 Svalbard was one of those watch brands that I accidentally stumbled across and thought “why haven’t I heard of you before?”. 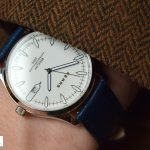 The Solfestuka immediately caught my eye; with a striking patterned dial and single 24 hour hand, at a reasonable price. Svalbard is a Norwegian archipelago in-between Norway and the North Pole, and Solfestuka is an annual festival held there. 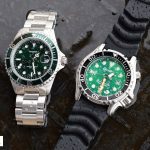 However, there doesn’t seem to be any real links between the watch brand itself and Norway. Let’s take a closer look to see how it fares. The case is quite plain and simple; a standard barrel with thin lugs. 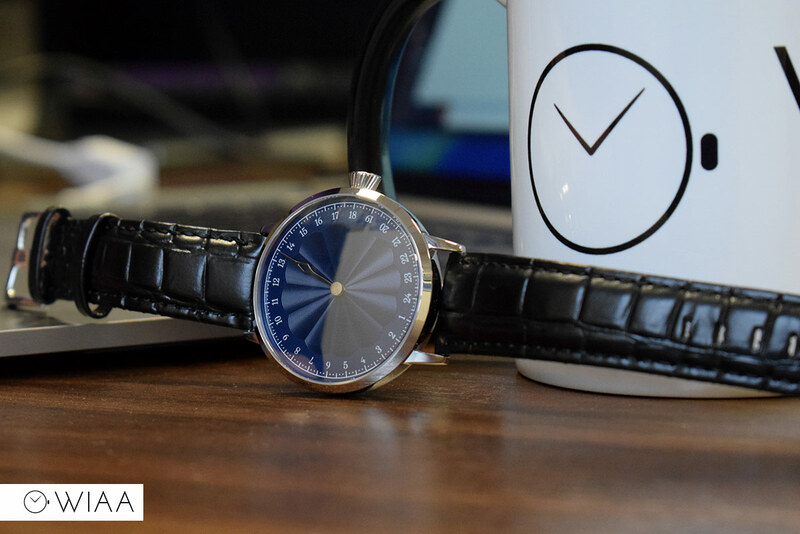 As it is fully polished and 41mm in diameter, it does look good on the wrist – it creates an impression without being oversized. 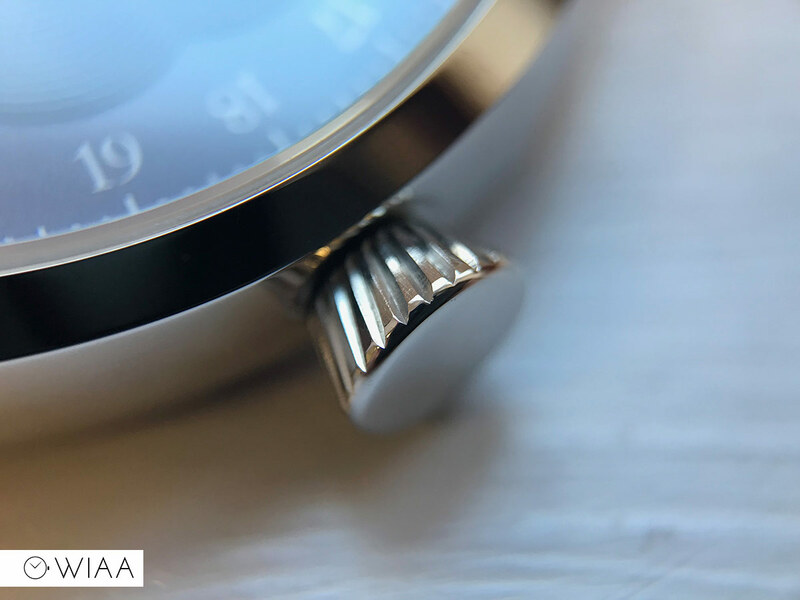 The thin bezel of 2mm lets the dial do the talking – after all; that’s what this watch is all about in my eyes. The crown is a nice touch which actually sets the case apart – if it had one of those really small button style crows you see over and over again then it be very boring. However, this isn’t the case – it’s a flat headed onion with a knurled grip. 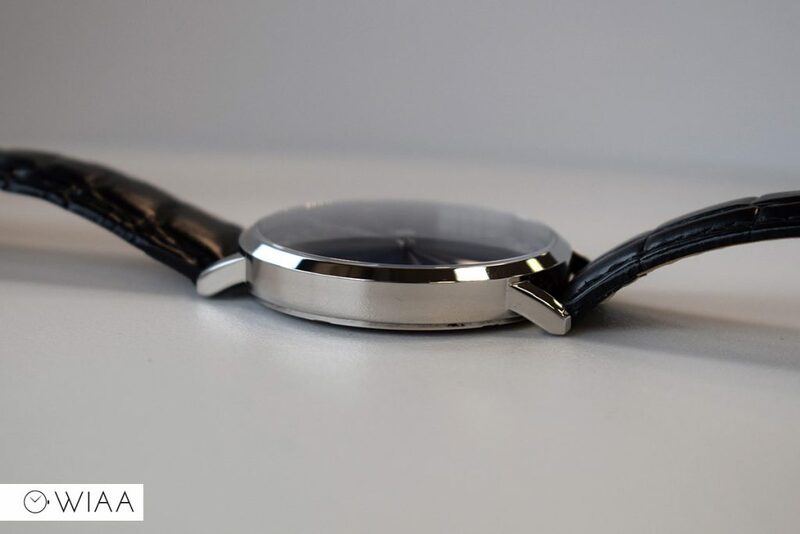 The watch comes with a domed sapphire crystal, which is of course a plus for this price. 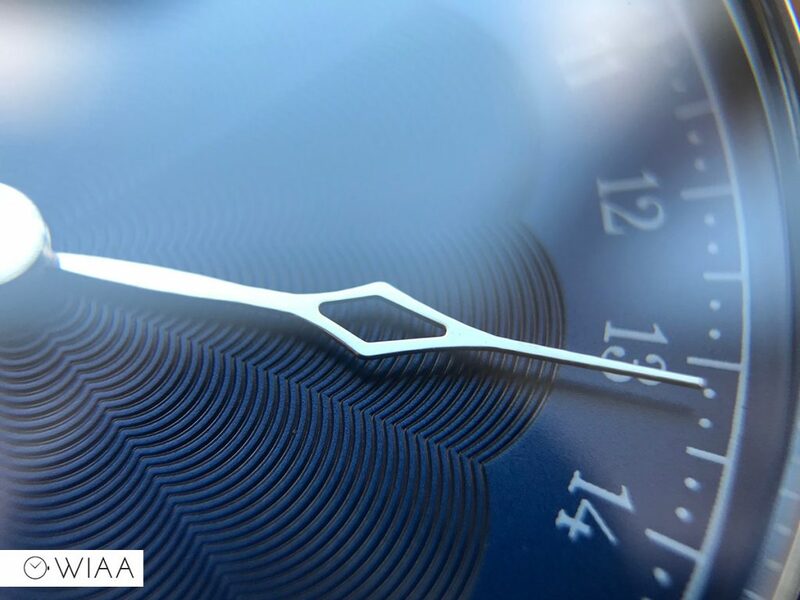 It is very reflective however – it could benefit from some anti-reflective coating. 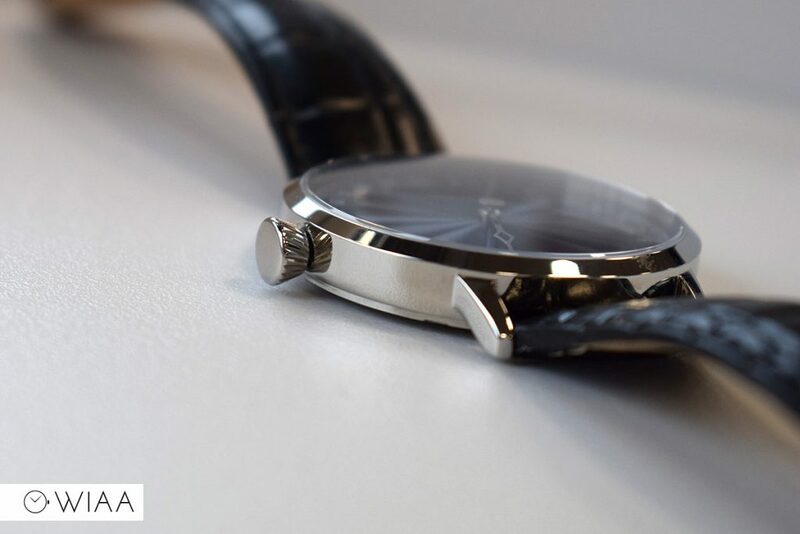 The screw-in caseback has all details embossed on a blasted finish. The dials’ dominant attribute is the dramatic flowering 12-segment pattern. 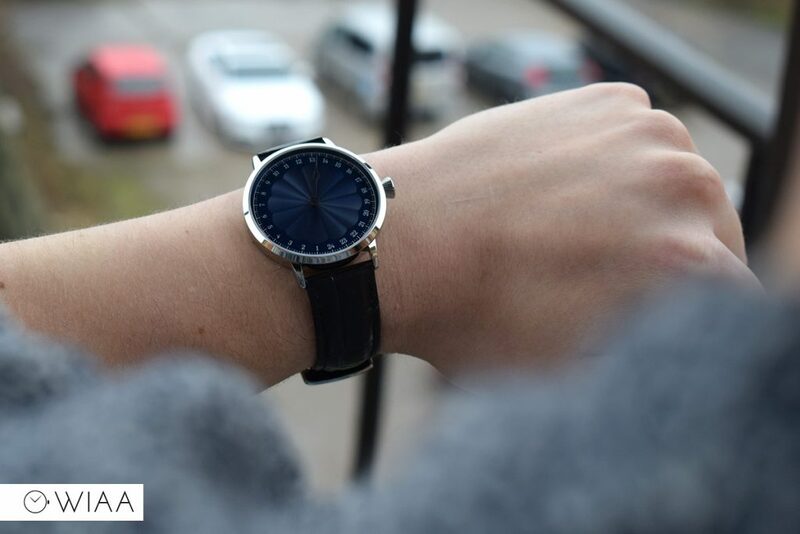 It is a luxurious dark blue, which works very well with the polished case and hand. In reality, the dial is very simple in design and form, but is also rather ornate. It is an unusual layout and concept; it does take some getting used to. 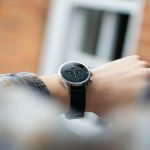 Each dash is 10 minute increments and the hand only rotates once per 24 hour period – so 6 A.M would be at 3 o’ clock, 12 noon would be at 6 o’ clock, and 6 P.M would be at 9 o’clock. 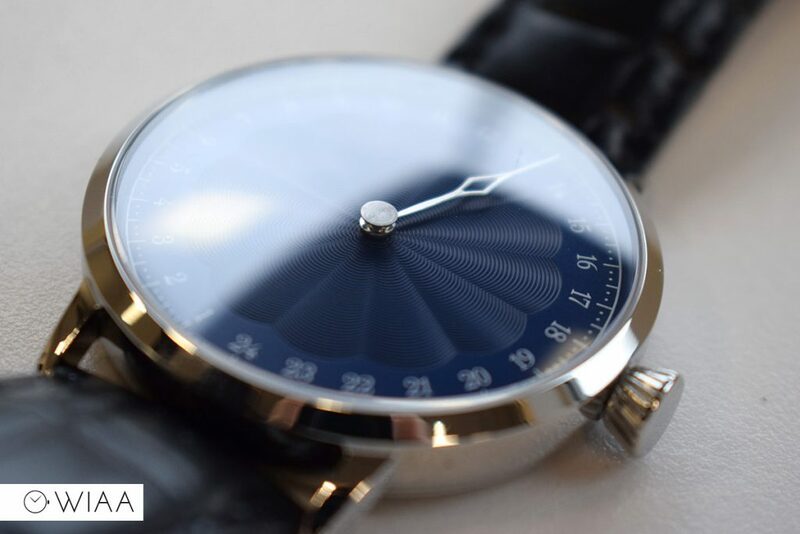 It means you have to look a little closer at the dial to figure out the time, but when it looks this good – that’s not a bad thing. 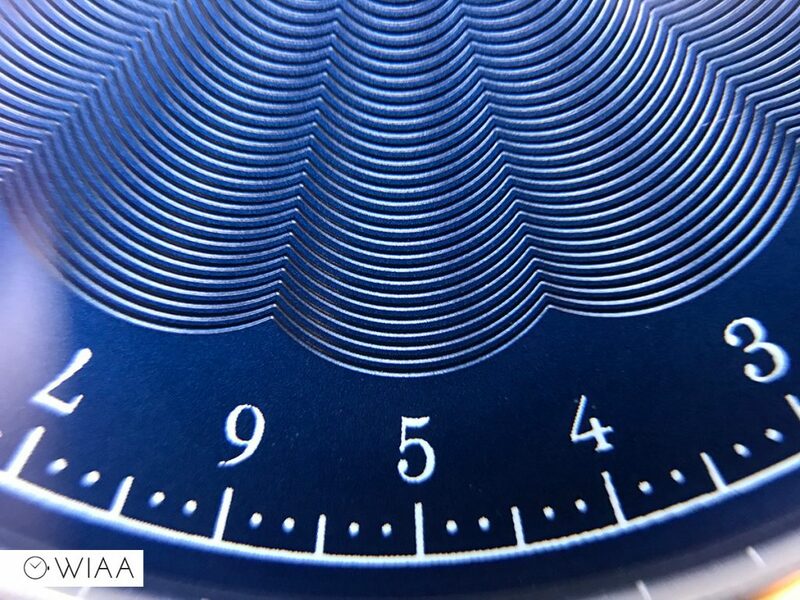 The dial is exemplified by the impressive quality of the guilloche: neat and accurate. The hour markers and minutes track is all printed in white around the outer edge which is subtle and classy. 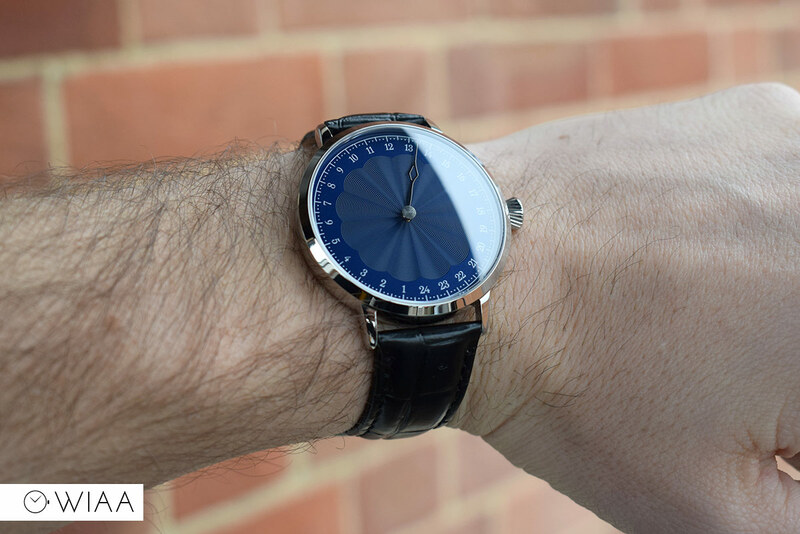 The single hand rotates around dial once a day, and is an unusual shape: sort of like a skeletonised leaf. 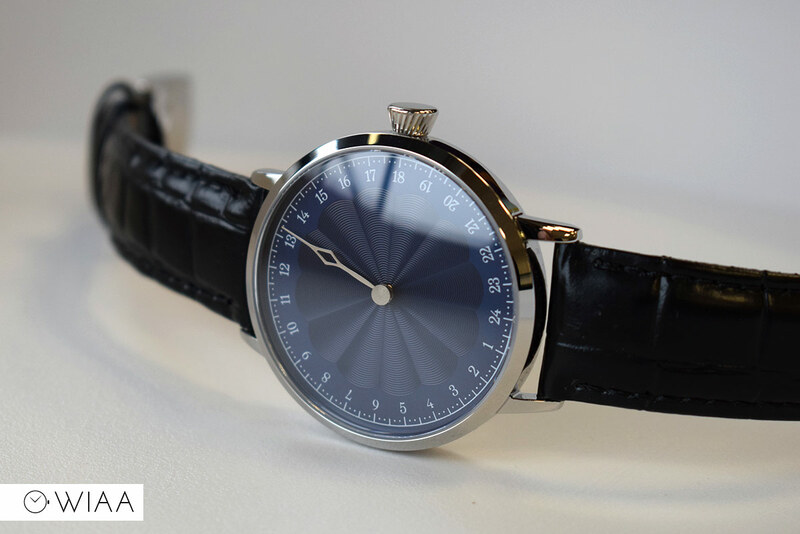 I think it’s elegant, and the fact that it is highly polished to match the case catches the light well. 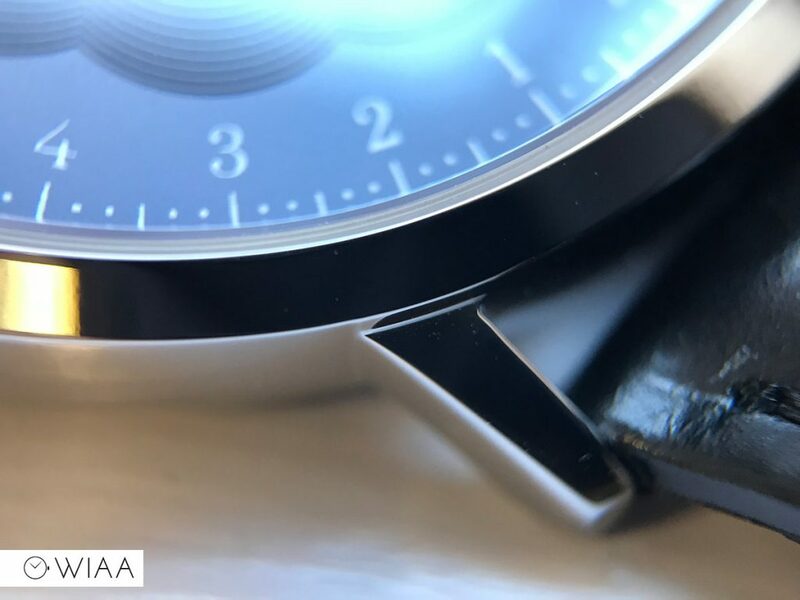 At the base of the hand is a round disc, which is actually connected to the seconds pinion of the movement – you can see it rotating up close (watch the video review). 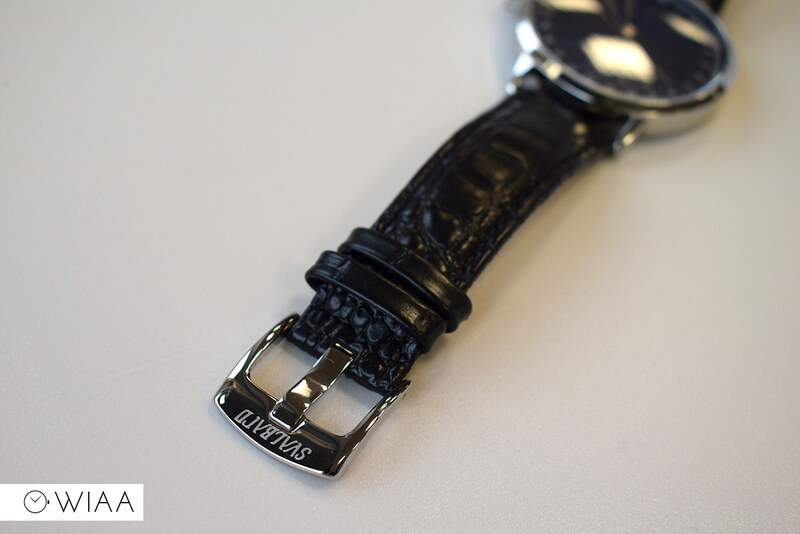 The black strap enhances the dial and has an alligator stamp. It has a dull patent finish, and I’m not too keen on it. 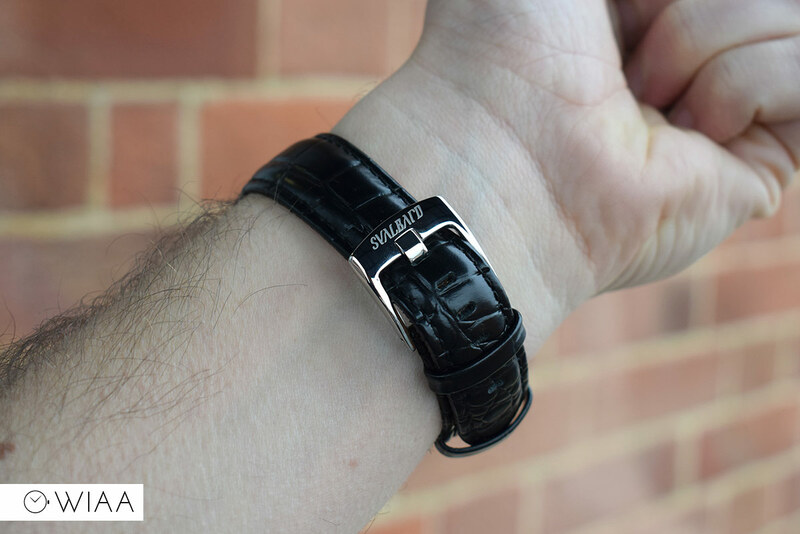 It’s also quite a long strap – I have a 7.25” wrist and I’m on the smallest hole. 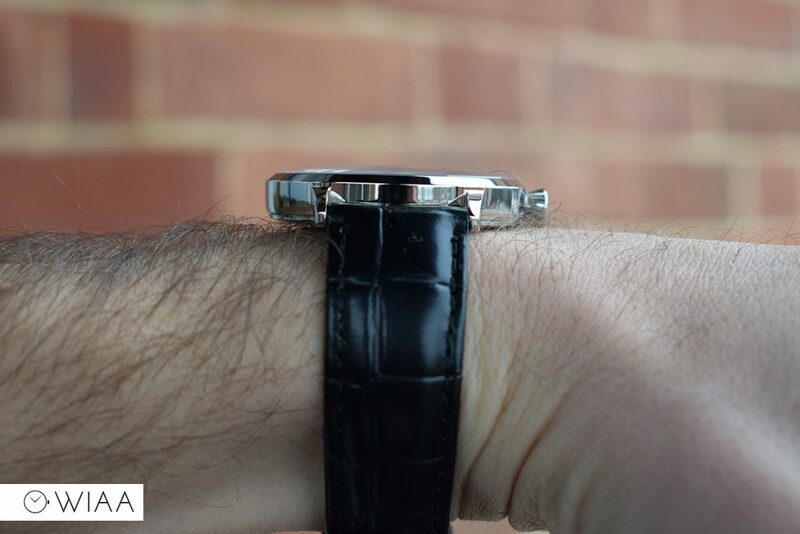 It’s a bit on the stiff side too; not very supple or the most comfortable. 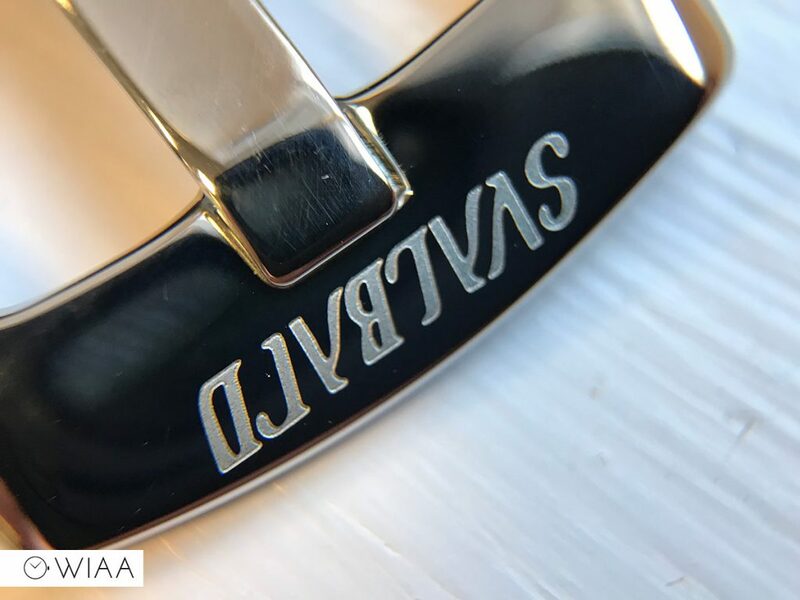 The buckle is fully polished to match case. 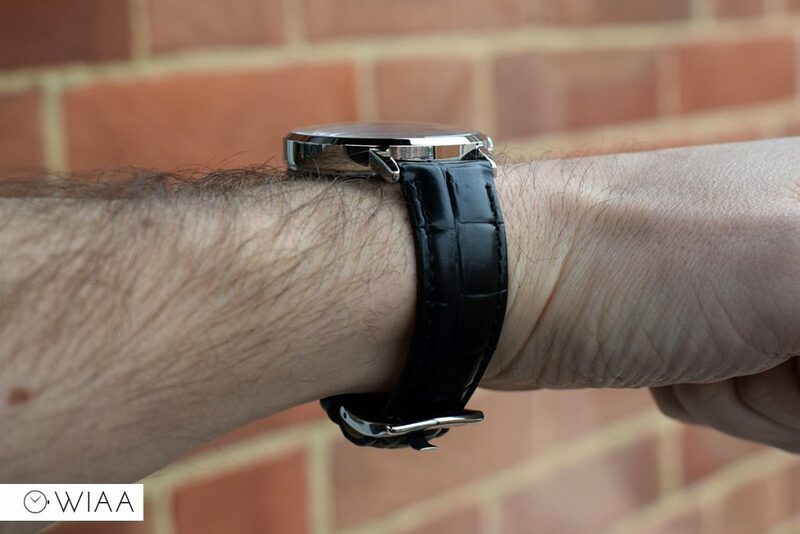 It’s longer than you’d expect, and makes the leather sit a bit higher off the wrist at the buckle point. 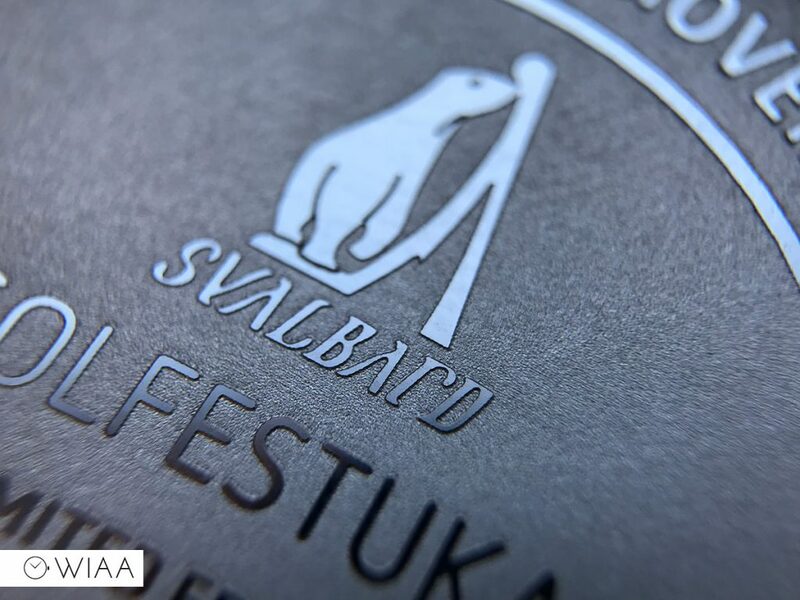 The Svalbard logo is engraved on the top bar, which is accurate and detailed. 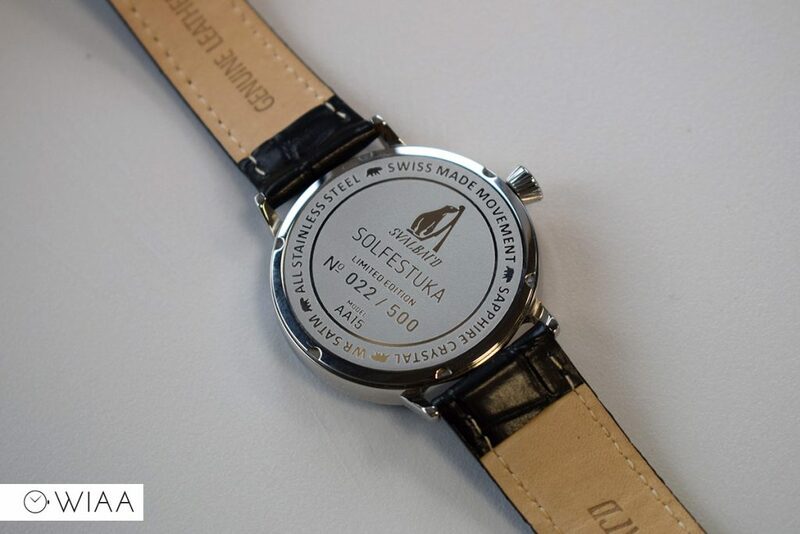 The movement powering the Svalbard Solfestuka is the Ronda 515.24H. 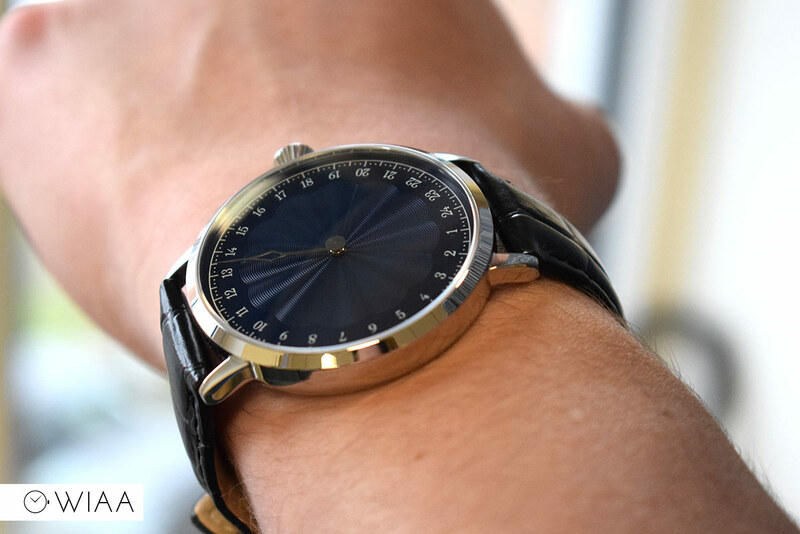 I’ve seen the standard Ronda 515 a number of times (such as the Scurfa Diver 1, Christopher Ward Trident 300, and the Brathwait Swiss Classic to name a few); this is basically the same but with an extra hand that goes once around the dial every 24 hours. 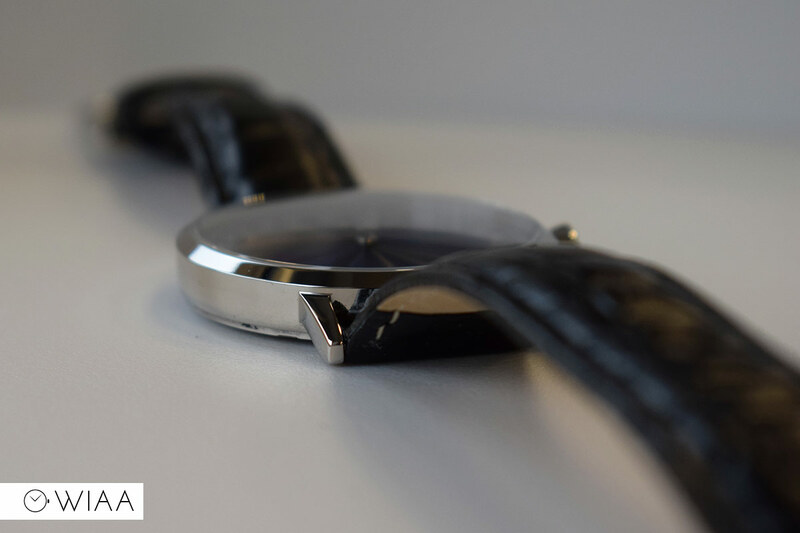 It has 1 jewel and a 45 month battery life, and is pretty sturdy in construction as there’s not a lot to go wrong. 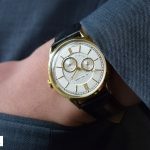 Just the 24 hour hand is used, although as mentioned previously the second hand technically is used too for the central disc. 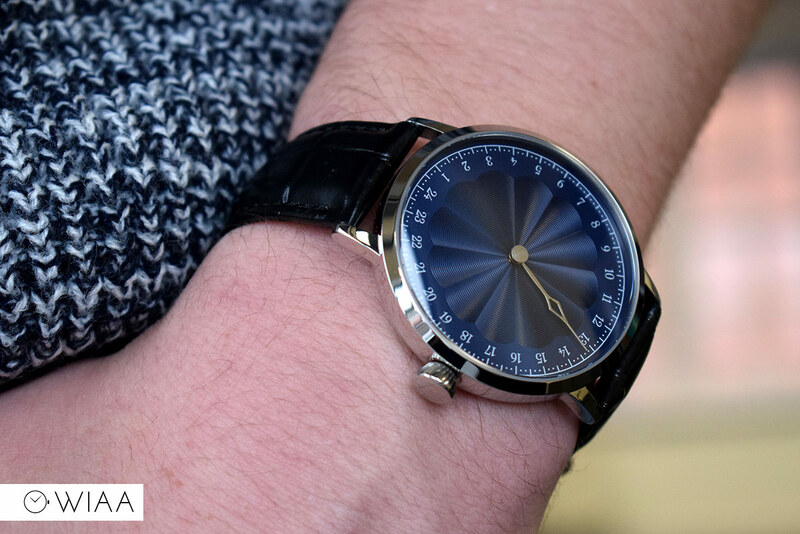 There’s no doubt about it, the Svalbard Solfestuka is all about the dial. 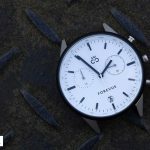 It can be a little difficult to read at a glance, but it’s not really designed as a particularly practical timepiece; it’s more of a statement piece. 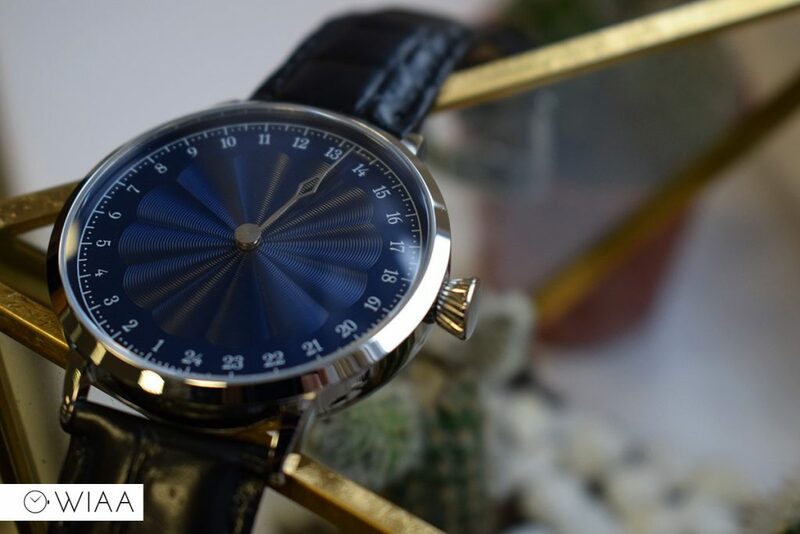 The quality of the dial is splendid for the price, and the general fit and finish is very good apart from the quality of the leather strap. 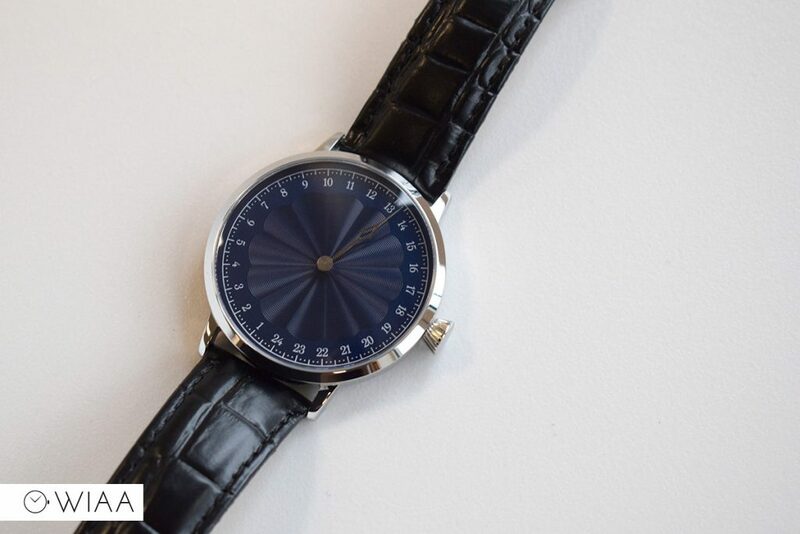 It’s a very cool and unusual watch, and at a price that means you can’t really go wrong. If they make a mechanical version, well that would be super awesome. 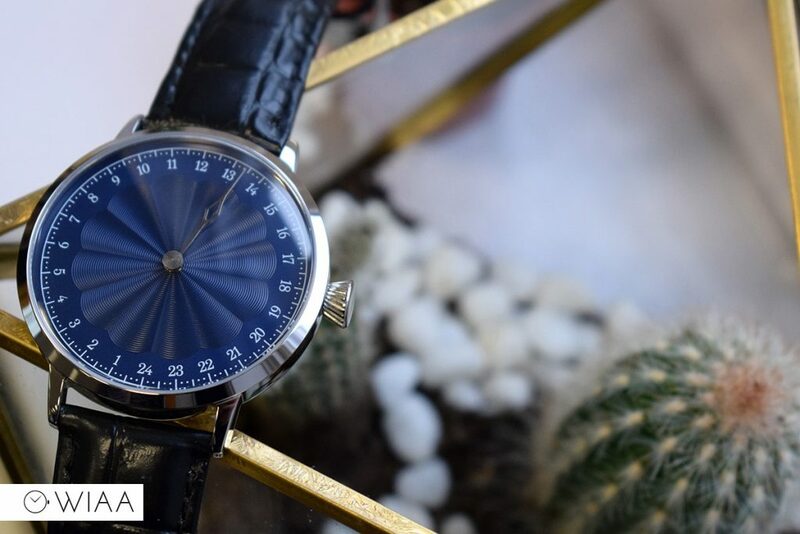 I believe the description of what the numbers mean on the face of this watch is off by 180 degrees. 01:00-12:00 are am hours. 13:00-24:00 are pm hours. Many 24 hour dials have the 24 at the top which is typically where the day changes on a watch. I like this set up, 24 low, because I picture the 09:00 to 18:00 as the earth’s horizon and the hour hand as a rough sun phase indicator where the 12 is indeed ‘high noon’.